DISUDESE: Cobra repost: "Etheric Liberation"
This is the repost of the latest blog post by Cobra. Significant progress has been made in the last few days. The Light forces were finally able to put a virus into the etheric mainframe computer of the etheric Archon grid. This will have important long term consequences. There will be constant and expanding cracks in the etheric matrix and more and more Light and Love from the Galactic central sun will shine through. The long awaited Golden Age will finally slowly begin to manifest for humanity. 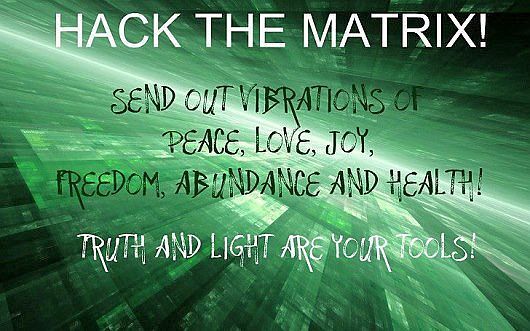 All this will help expanding the cracks in the matrix and will make room for more Light and Love to come through. Cobra repost: "Etheric Archon Grid"